USA/China Olympic Basketball game a complete and utter joke…….. 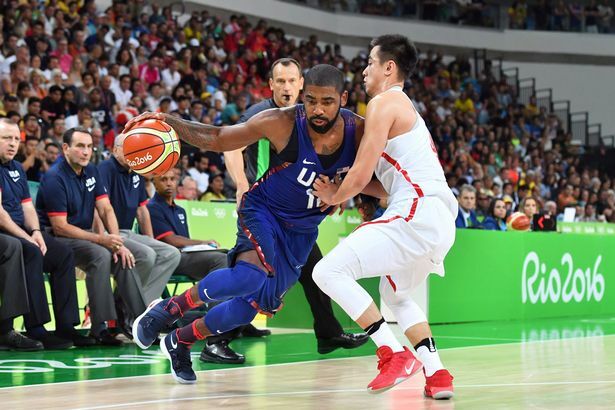 The United States Olympic basketball team beat China’s best today in Rio de Janeiro. The some of the best players in the world who represent Team USA dominated in a contest I would call a glorified exhibition, and that is being too kind. What a waste of fine natural basketball talent. Men against boys would not be telling the truth. The Olympic basketball set-up with professional basketball players is a joke. Let the non-professionals in this sport participate, and make an age limit of 22, stopping countries to pretend that their 35 year old players are not professionals. Please post any comments as they are welcome.